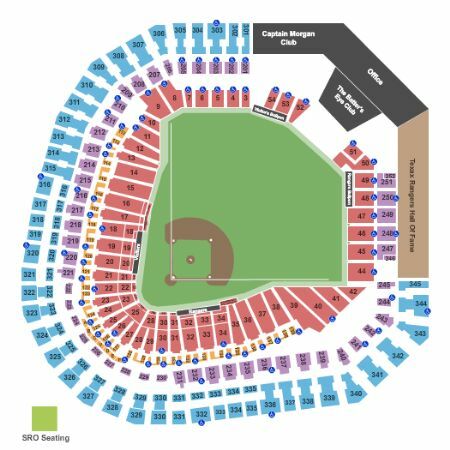 Texas Rangers vs. Los Angeles Angels of Anaheim Tickets - 7/1/2019 - Globe Life Park in Arlington at Stub.com! XFER Mobile Entry. Scan your tickets from your mobile phone for this event. Tickets will be ready for delivery by Jun 24, 2019. These seats are on the aisle with purchase of the entire group. Tickets will be ready for delivery by Jun 29, 2019. Third row in this section. Tickets will be ready for delivery by Jun 29, 2019. Aisle Seats. Tickets will be ready for delivery by Jun 27, 2019. Fourth row in this section. Tickets will be ready for delivery by Jun 27, 2019. Third row in this section. Tickets will be ready for delivery by Jun 27, 2019. Second row in this section. Tickets will be ready for delivery by Jun 27, 2019. First row in this section. Tickets will be ready for delivery by Jun 29, 2019. Second row in this section. Tickets will be ready for delivery by Jun 29, 2019. Fourth row in this section. Tickets will be ready for delivery by Jun 29, 2019. Second row in this section. Tickets will be ready for delivery by Jun 24, 2019. Fifth row in this section. Tickets will be ready for delivery by Jun 29, 2019. XFER Mobile. Reserved Parking Space. XFER Mobile. Reserved Parking Pass. These tickets are an Obstructed View and your view of the action and the stage/set/field will occasionally be blocked. Tickets will be ready for delivery by Jun 29, 2019. Last row in this section. Tickets will be ready for delivery by Jun 29, 2019. Mobile Entry Tickets. Must have smart device on hand to enter event. Tickets will be ready for delivery by Jun 29, 2019. Includes access to the Capital One Club after the 3rd inning. Second row in this section. Tickets will be ready for delivery by Jun 27, 2019. Includes access to the Capital One Club after the 3rd inning. Xfer Mobile Entry. Scan your tickets from your mobile phone for this event. Do not print these tickets Tickets will be ready for delivery by Jun 27, 2019.